Today is Pi Day. It is also my great nephew’s birthday. He loves that his birthday falls on such a “cool” day! But go figure, I didn’t have a Pi stamp. Actually does anyone? So I printed this image from SnorgTees which I thought was the perfect blend for the two celebrations. 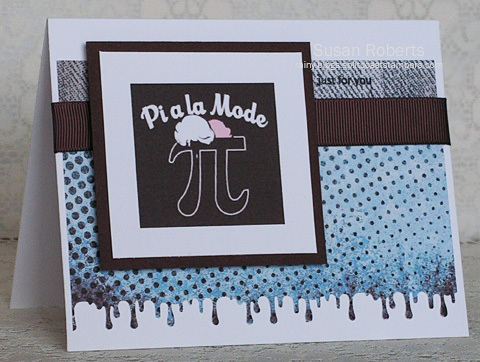 Crazy 4 Challenges: C4C327 – Monday is Pi Day! 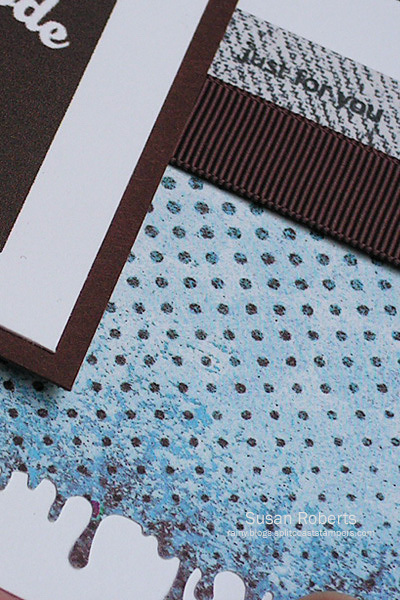 Create cards that feature circles and/or pies! Great, great caption! Love it! I think it’s fabulous that you have a Pi Day stamp! Love the fun card! Ha! It couldn’t be more perfect! I certainly do not have a pi stamp, but I’ll bet there is one somewhere. Your nephew must have been surprised by this very cool card! Susan, you are just too clever for words to come up with such a fun card for your nephew! I KNOW he enjoyed this card! Oh, Susan, what a fun birthday – Pi Day! I love it, and what a perfect card! I love the gooey border punch too for this adorable “ice cream sundae” on your card! He’s going to love it! It really is a cool day for a birthday to fall on! Sweet, sweet card, my friend! Hehe! Hugs!